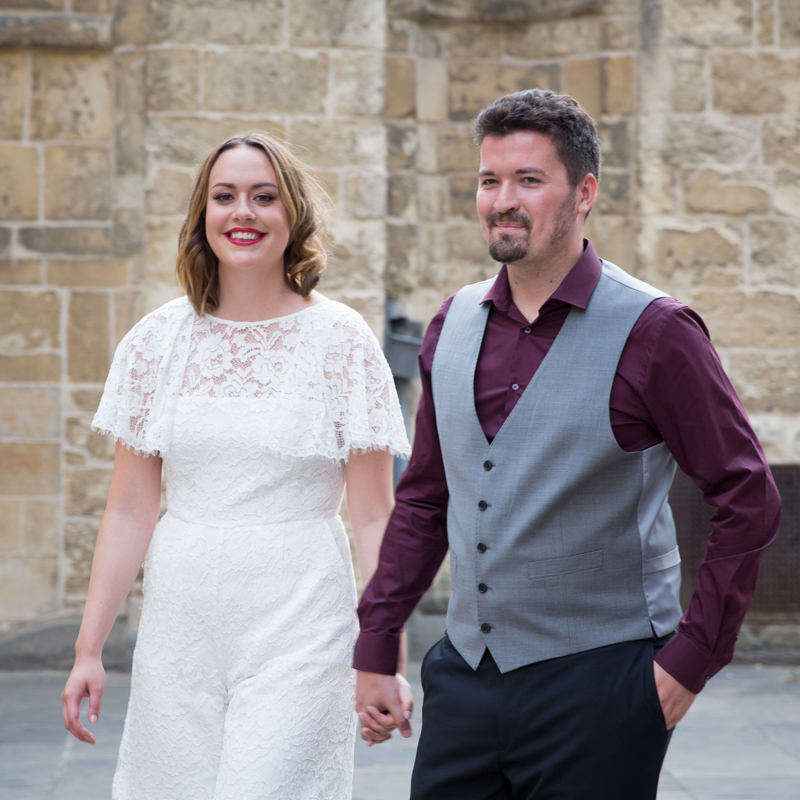 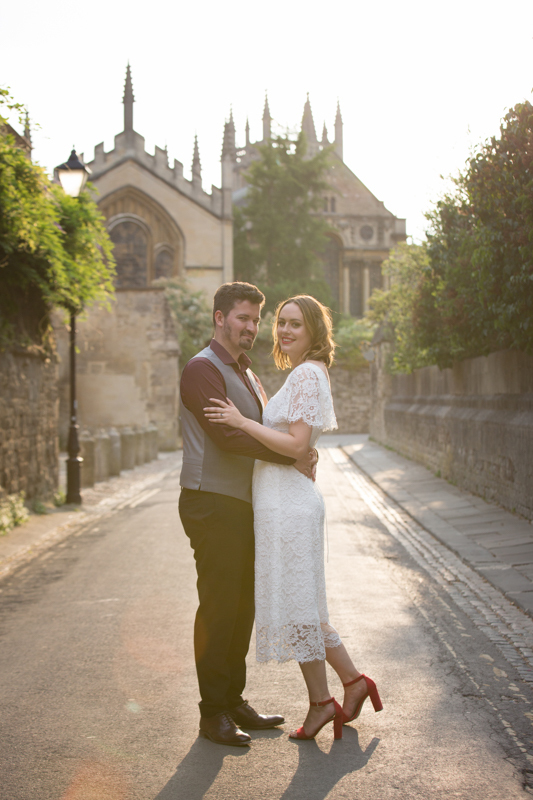 I met Stef and Yuri on a sunny summer’s evening for their Oxford Wedding Shoot. 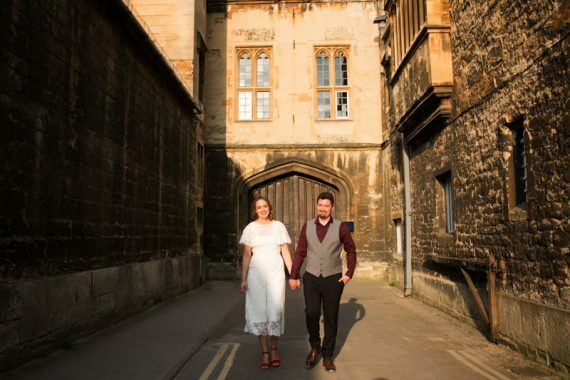 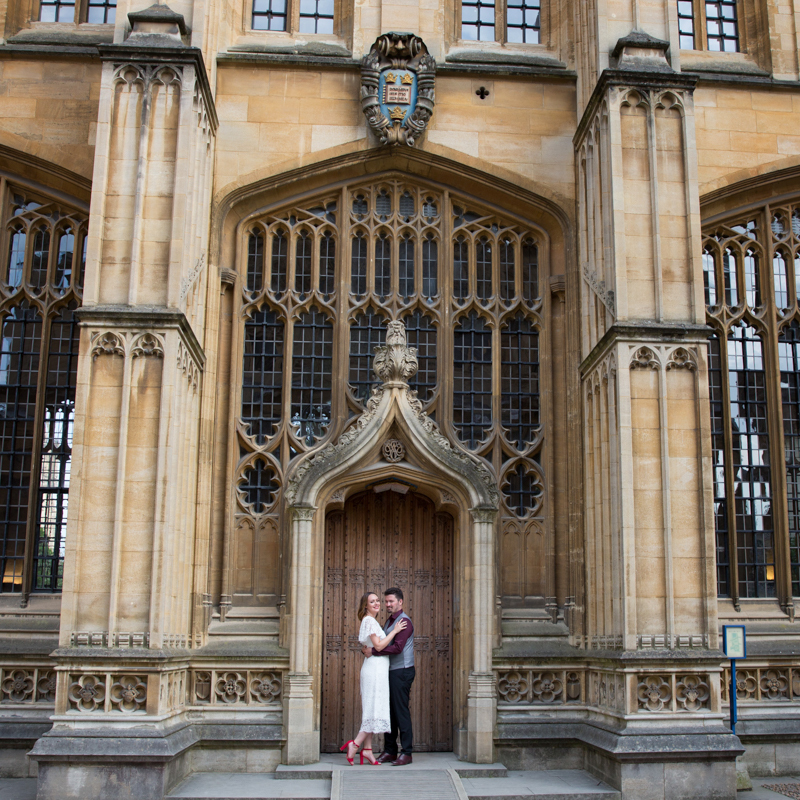 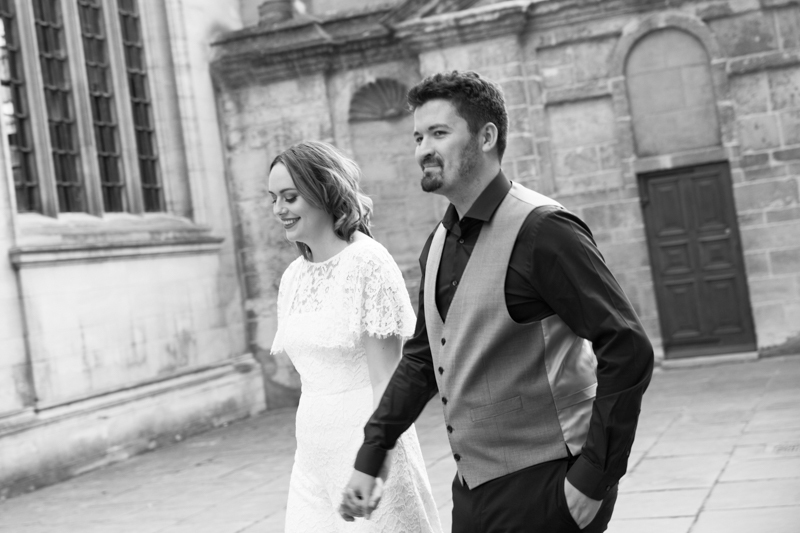 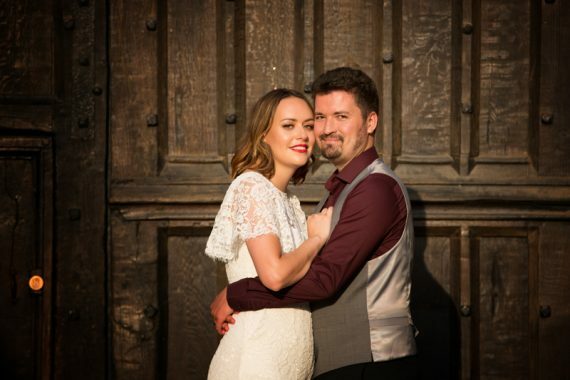 They had a small register office wedding the week before and asked me to mark the occasion with a photo shoot in the historic and beautiful centre of Oxford. 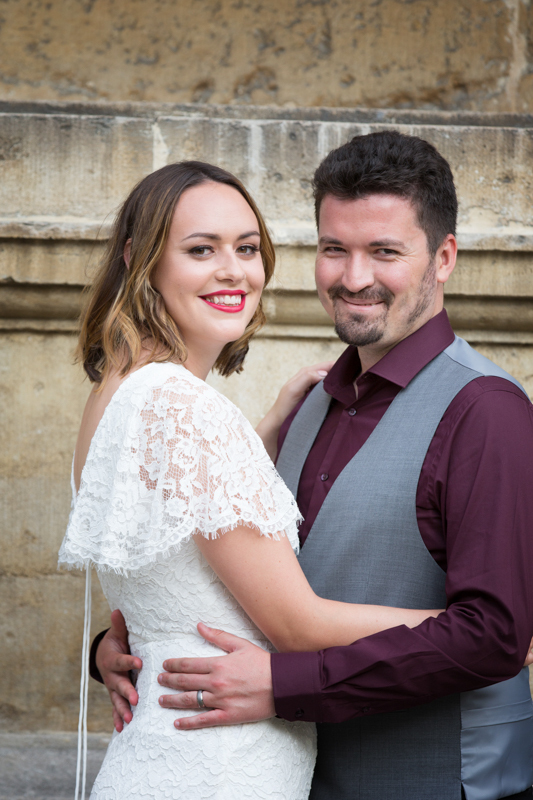 Stef and Yuri had met me at a Wedding Fair several months before and liked my natural and relaxed style of wedding photography. 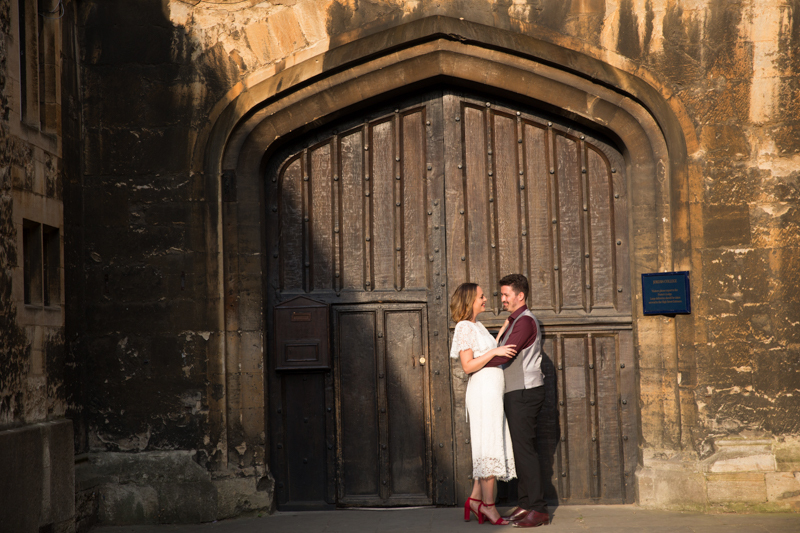 We had fun walking around the historical University area of Oxford, a city that had been their home for several years. 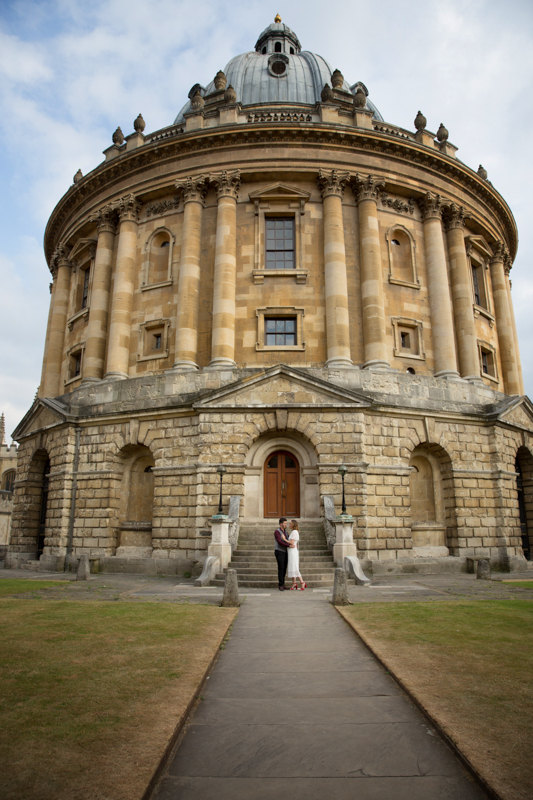 I thought it would be quieter in early evening in central Oxford with most tourists having left for the day. 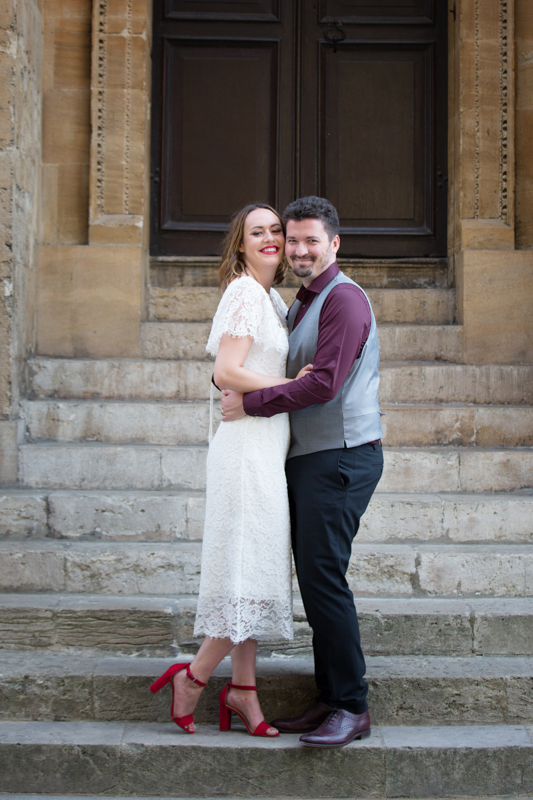 However, I didn’t count on filming of a period drama blocking several streets. Nevertheless, we started at the stunning Bodleian Library, Radcliffe Camera building and walked the streets near the Universities just stopped in beautiful doorways in the golden hour evening light finishing at Christ Church gardens. 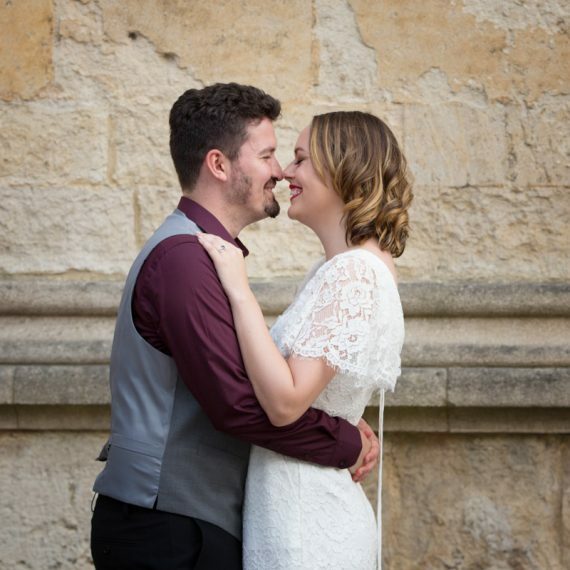 Mary is an absolute pro! 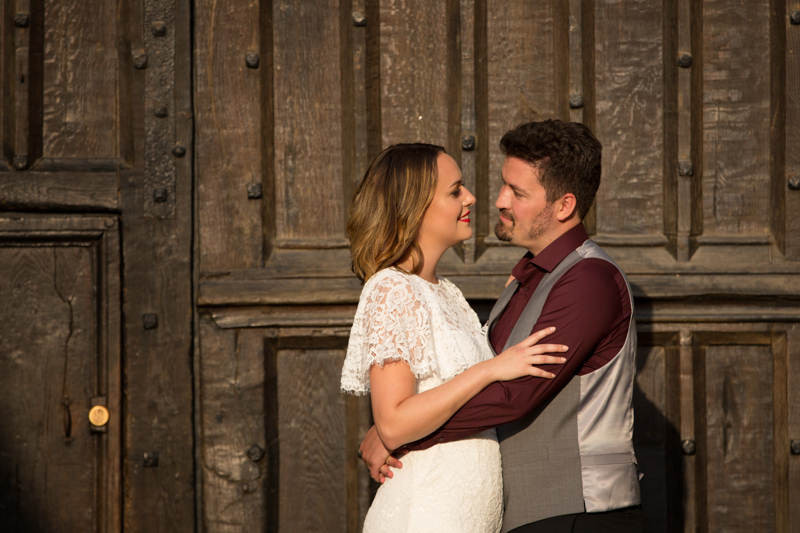 Such a lovely person, great to work with and such stunning photography! 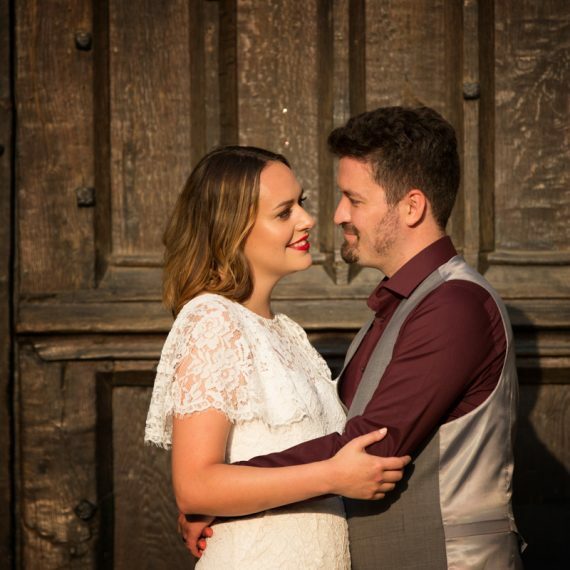 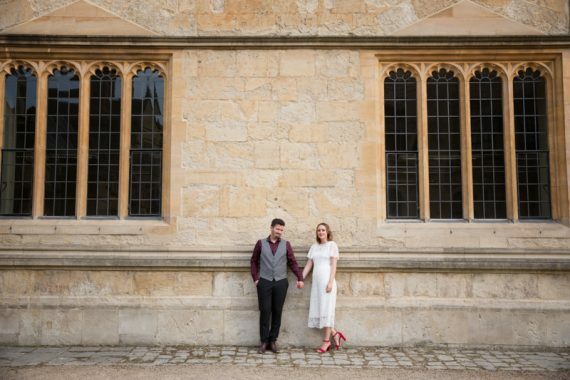 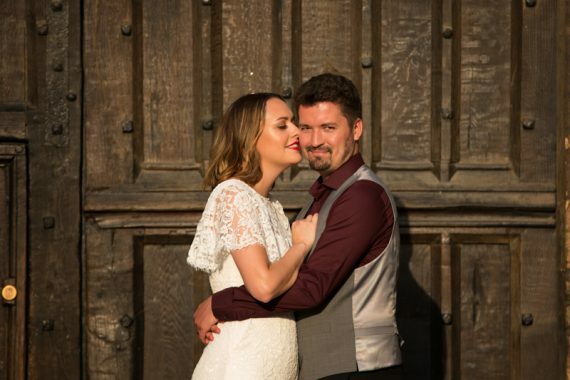 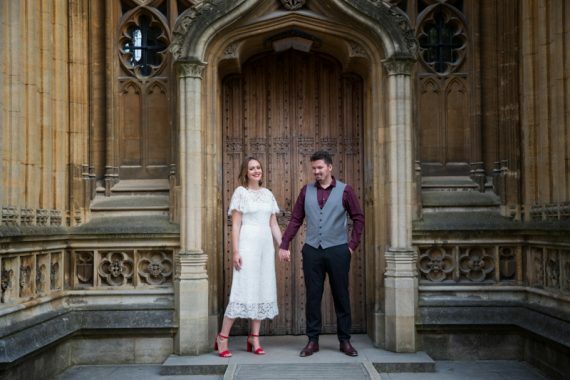 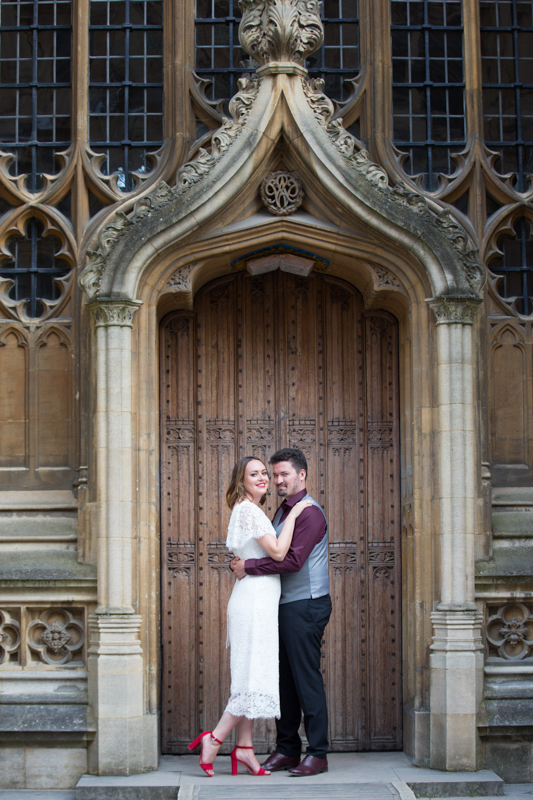 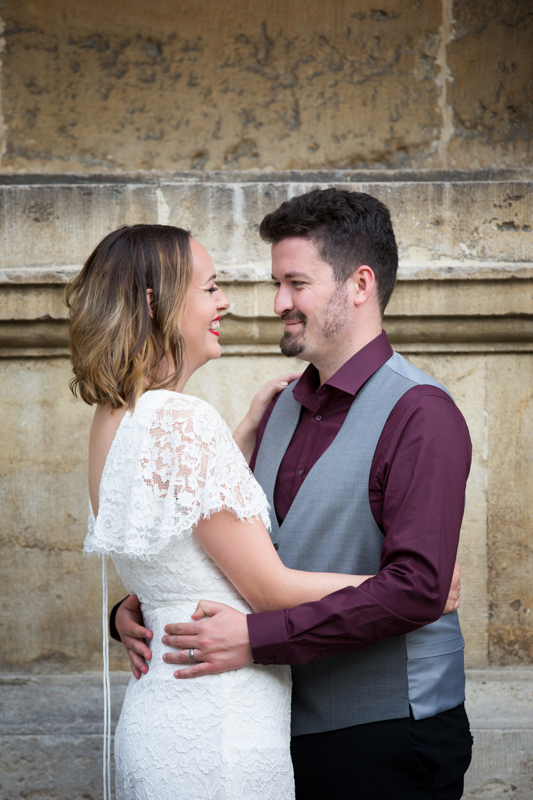 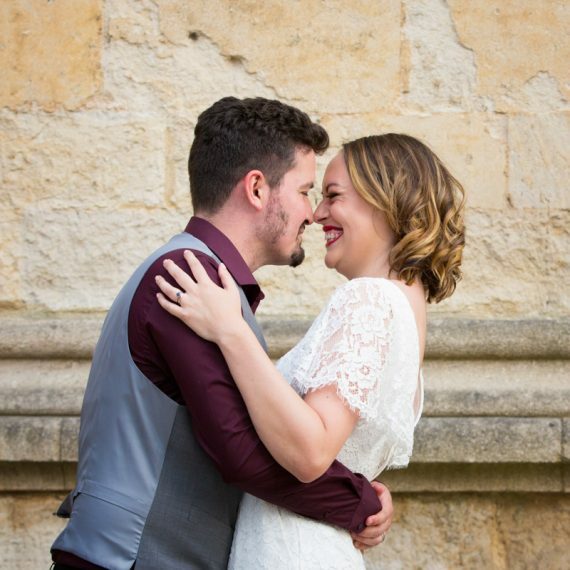 We had a post-wedding photo shoot around Oxford and it was absolutely perfect – 100% recommend! 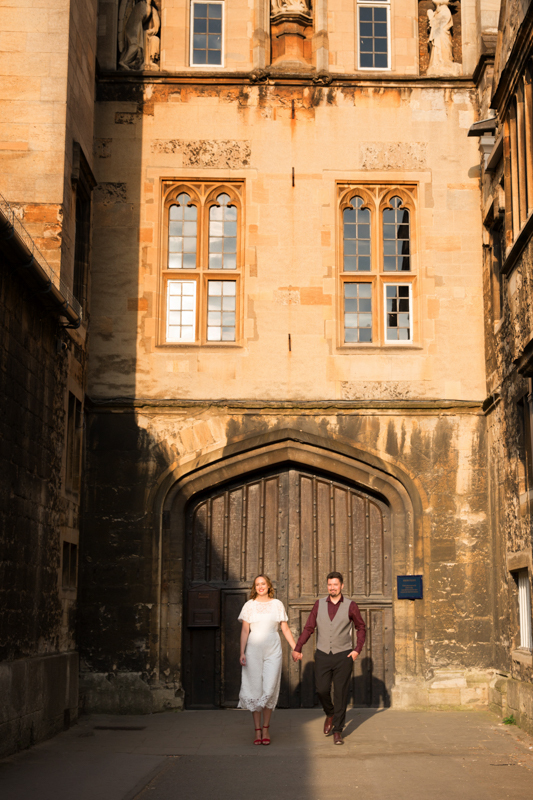 I live near Oxford and welcome any opportunity to visit and shoot in Oxford, so if you are planning an Oxford Wedding in the near future, please do get in touch.